Publicised as Hammer’s 50th film, this graphic depiction of the brutal ill-treatment of POWs by their Japanese captors sparked considerable controversy on its release, coming so soon after the events portrayed. These days the film is rarely given an airing, probably for similar reasons. 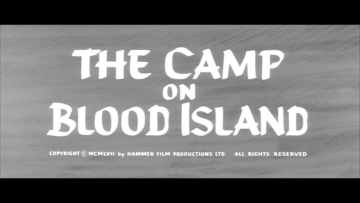 Hammer eventually (in 1965) produced a sequel, “The Secret of Blood Island”, which is now equally rarely seen.